On the surface, Arcadia appears to be a slice of timeless Americana, but it is no ordinary town. It lies at the center of magical and mystical lines that will make it a nexus for many battles among otherworldly creatures including trolls, aliens and wizards. 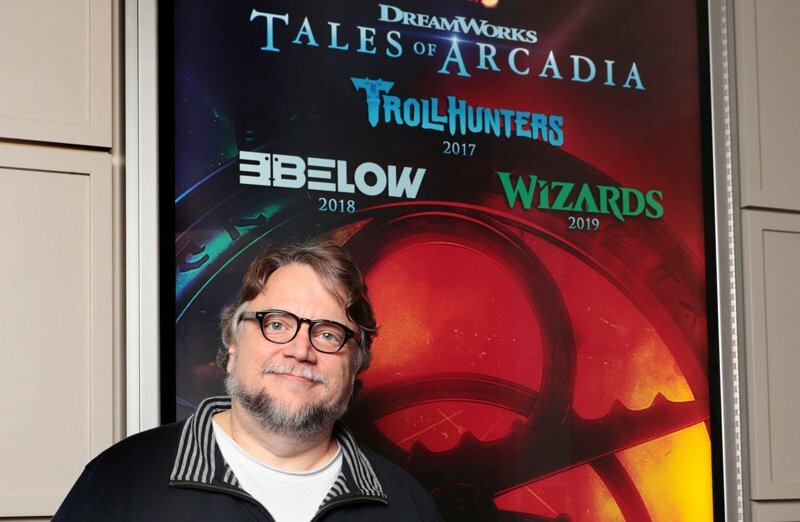 DreamWorks Trollhunters, the first installment in the Tales of Arcadia trilogy, will be followed by two additional series – 3 Below in 2018 and a final chapter, Wizards, set to debut in 2019. Premiering on Netflix in 2016 to critical acclaim, Trollhunters introduced audiences to the seemingly quiet town of Arcadia and an ordinary kid who embarks on an extraordinary adventure in a hidden world right beneath his feet. The series features the voices of Anton Yelchin, Kelsey Grammer, Ron Perlman, Steven Yeun, Anjelica Huston and more. The first season lead the Creative Arts Daytime Emmys with six wins, more than any other program, including writing for an animated program (Marc Guggenheim), directing (Rodrigo Blaas, del Toro), casting (Ania O’Hare, Mary Hildalgo) and a voice acting win for Grammer. DreamWorks Trollhunters is created and executive produced by del Toro with Marc Guggenheim (Arrow, DC’s Legends of Tomorrow), Rodrigo Blaas (Alma) and Chad Hammes (Dragons: Race to the Edge) and Christina Steinberg (Rise of the Guardians) serving as executive producers. Dan Hageman (The LEGO Movie, Ninjago) and Kevin Hageman (The LEGO Movie, Ninjago) serve as co-executive producers. You can watch a Tales of Arcadia teaser clip below!